Storytelling has been at the forefront of our minds this year. With our Solutions Lab crew collaborating with the Santa Fe SpeakEasy, and the upcoming launch of our Indie Philanthropy Initiative, we’re noticing that storytelling connects the dots between what challenges us, what motivates us, and what pushes great ideas out into the world. One of the greatest assets of Kindle has always been the collection of field stories from our collaborators in our partner community. Day in and day out, we have the privilege of hearing the riveting plots of partner projects; their challenges, inspirations, and the remarkable players that make all their work possible. Sharing these stories with you is all done in the spirit of sparking the extraordinary change we all want to see in the world. This spring, we have another remarkable roster of torchbearers to introduce. Ranging from the artistically adventurous to the scientifically steadfast—our growing community is filled with endlessly motivating organizations and individuals. To achieve their formidable goals, our partners are breaking boundaries in ways that are at once surprising, thought-provoking, and essential, paving the way for thinking and doing outside the box. We hope you’ll celebrate the incredible work of these groups with us by taking a moment to learn more about all of them below. We can’t wait to share more details of their work with you over the coming years. Don’t forget to check back on our site to see how the narratives of these groups continue to unfold. Agriculture Implementation Research & Education is working to cultivate as many fields and gardens with as many crops and as many people as possible in various communities throughout the Middle and Upper Rio Grande. For schools, service corps, and community groups we offer sustainable agriculture presentations, demonstrations, and workshops. To address our contemporary context of climate change and food insecurity, we also maintain a “living seed library” of locally adapted seeds for agricultural expansion and success. Antena is a language justice and language experimentation collaborative founded in 2010 by Jen Hofer and John Pluecker. Antena does writing, art- and book-making, translating, interpreting, and language justice. Antena views aesthetic practice as part and parcel of language justice work. Antena explores how critical views on language can help us to reimagine and rearticulate the worlds we inhabit. Be Present, Inc. builds collective leadership for social justice through providing trainings and systems of support using the Be Present Empowerment Model®, sustaining a national network of activists, and creating partnerships with nonprofits engaged in the work of creating a just world. We support people from diverse backgrounds to be present in their lives – to be more effective leaders in creating well being within themselves as well as their families, schools, organizations, and communities. 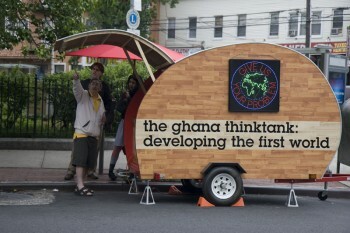 The Ghana ThinkTank (GTT) is known for its unconventional approach to negotiating social conflicts. Using a blend of public art and community organizing, we have been “Developing the First World” since 2006. We collect problems in the “developed” world, and send them to be solved by think tanks we established in Cuba, Ghana, Palestine, Iran, Mexico and a group of incarcerated teenage girls in the U.S.. Then we work with the communities where the problems originated to implement those solutions. High Mayhem creates opportunities and events for underrepresented emerging artists. We present, document, and broadcast important creative art and music to our immediate community and the broader world via the Internet. We serve as a laboratory for creative minds to meet, develop, and collaborate to create and envision new and vibrant art and music. We pursue art a means to share experiences and connect people, trigger dialogue, and to awaken the soul and the spirit. 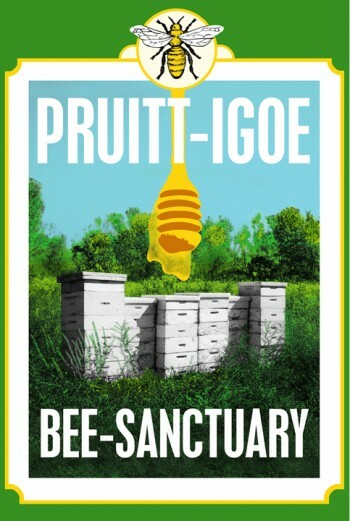 The Pruitt-Igoe Bee Sanctuary is a proposal for the City of Saint Louis to transform the urban forest where the Pruitt-Igoe housing development once stood into a public space that preserves the remaining 33 acres of green space and cultivates community through beekeeping and urban agriculture. United Roots (Oakland’s Green Youth Arts & Media Center), is a young, but important organization that is engaging and supporting over 200 low-income Oakland youth, ages 13-24, annually in socially innovative ways. Working out of a storefront in Oakland’s Uptown neighborhood, United Roots provides youth leadership, arts, green jobs, sustainability, media training, career and workforce preparedness, and wellness services to youth that need it most, in way that are most needed. Our driving aspiration has been to offer one of Oakland’s first green youth arts and media centers where youth can envision a new world that meets all the contemporary crises, from the ecological to the economic, in the most creative and innovative ways. The Yes Lab is devoted to helping progressive organizations and activists carry out media-getting creative actions around well-considered goals.